Welcome back, Alexis. Why do you write the kind of books you do? I write Contemporary Romance books (fiction) and devotionals (nonfiction) because I want to infuse hope into situations that seem hopeless in real-life. Wow that’s quite a question that I’m not sure how to answer because I’ve had many happiest days of my life! But when it comes to my writing, I’d have to say that the happiest day of my life was when I received my complimentary copy of my first published book Hope in My Heart: A Collection of Heartwarming Stories. Everything really came together for that book and the Hand of God was over everything, especially with the creation of my dream book cover design by Brenda McClearen and her creative team in Nashville, Tennessee! Being a published author has changed my life in the way of more people knowing my name and reading my work. It’s been an adventure filled with book signing events, author interviews on blogs, podcast interviews like the ones with Mantle Rock Publishing, radio interviews like the one with WGTS 91.9 FM and LIVE television interviews to promote my books! Right now, I am reading Building Friendships that Fit by Holly Furtick. She’s the wife of Pastor Steven Furtick who is the lead pastor of Elevation Church in North Carolina. The ministry that God’s given Pastor Furtick and his wife is beautiful and making such a positive impact on people around the world! Praise the Lord for that. What is your current work in progress? My current work in progress is a food and romance story about a formerly fat baker who is now every woman’s dream catch. But he’s not dating every woman who throws herself at him because his heart is set on the one girl he loved at first sight in high school. However, he was too shy to ask her on a date. What he does not know is that the same girl grew up to become a food writer and she works at the magazine office down the block from his family-owned bakery! Sounds interesting. I’ll want to feature it on my blog when is releases. What would be your dream vacation? Another great question that I don’t know how to answer because I have several dream vacation spots! But if I had to choose just one place to visit for now then I’d say Paris, France, because it may or may not be an international setting in my next book! *Hint, hint! Pure imagination helped by my favorite settings in movies, TV shows, and real-life experience. Ben Patton (the brother of former Bachelorette JoJo Fletcher, who was a contestant on Ready for Love) because he seems like a fascinating person! Photography and food! I love to practice natural-light photography. I have an eye for color and design that compliments my clients’ complexion and brings out their natural beauty. I also love good food. I love cooking it, baking it, buying it, and sharing it with loved ones! My most difficult writing obstacle is writing fiction stories when my heart is troubled by the woes of the world or a situation in my real life. I still have not completely overcome it. The advice I would give to a beginning author would be to never quit if this is a dream that God placed on your heart. Pray about it and work at it. Keep writing! But don’t just write, read! Read books by notable authors who write books in the genre that you want to write. Study books on the craft of writing. Maybe even take a few creative writing classes at your local community college or university. Be encouraged in your journey because if God wants you to become a writer and you work for it, it will happen! My newest novella, Love in Pictures, was published in June 2018. It’s a Contemporary Romance about a wedding photographer (Michelle) who’s never been in love until she meets the one man (Logan) who she cannot forget. Logan is recovering from a bad breakup with his fiancée. She ended their engagement to pursue her dream career in another country, leaving him heartbroken in Maryland. Since then, he’s focused on his work as he climbs the Journalism career ladder while steering clear of the dating scene. But something about Michelle awakens Logan’s desire to love again. The bride held a beautiful bouquet of soft blue and pastel pink hydrangeas near her waist, while the handsome groom with skin the color of coffee stood close behind her, holding her in a loving embrace, kissing her forehead. Michelle sipped her favorite green tea as she sat and worked at Marie's Mocha Café and sighed. The forehead kiss. So romantic. Meant he loved her brains, not just her beauty. The bride’s olive skin glowed, and her dark brown tresses cascaded down her shoulders and rested at her waist. She peered at the flowers she held in her manicured hands, her golden-brown eyes sparkling, a sweet smile tugging at the corner of her lips. Everything about this picture showed that this couple was in love and happy to say I do, not only on their wedding day, but every day they spent together thereafter. Ah, love. Something she might never experience. She bit her bottom lip. Would she ever meet a great guy and be blessed with a real-life happily ever after? She reached for her cup and took a sip to the calming accompaniment of the smoothie machine. She tapped her fingers on her computer keyboard and opened Facebook Messenger. Writing messages to her best friend, Juliana Fernandes, who worked as a writer for Bridal Mode Magazine, also soothed her nerves. Michelle: Hey, girl. What’s up? use a little girl talk. Michelle: Sorry. I’m editing photos, and I’m on deadline. Juliana: Oh yes, my lovely friend the wedding photographer who’s all work and no play. Michelle: What do you mean? Juliana: You never make time for fun. Michelle: Yeah, I do. I meet up with you, and we go shopping and for coffee. Michelle: Aren’t most of those men you interview getting married? Michelle: Lol. Thanks, but no thanks. God is my matchmaker. Juliana: Yeah? Well, sometimes God uses good friends like me to pull the strings. Michelle: Sorry to cut this short, but I need to get back to work. Juliana: And then you do that. Juliana: When I get too close to the truth, you end the conversation. Michelle: Jules, you’re taking this way too personal. They can find everything about me as a creative professional on my official website, https://alexisagoring.jimdo.com. Thanks for the interview, Lena! And thank you, Alexis, for sharing this book with my blog readers and me. I’m eager to read it, and I’m sure they are, too. Dear Readers, if you love medical romantic suspense, you’ll like this new book from Richard L Mabry, MD. His stories are always so authentic to current medical practices. I wanted to publish a “Christmas” type of story but couldn’t come up with a Christmas-themed book that fit into the genre in which I’m comfortable—medical thrillers. Then, while backing out of our driveway one morning, I idly wondered what a woman would do if, fresh from an argument with her husband, her car hit a bump which turned out to be the body of his most recent client. Add a bit of snow on the ground (partially covering the body), set the story in the Christmas season, and I had the beginnings of Emergency Case. I suppose I’d invite Candace Calvert and Jordyn Redwood, so that there’d be someone to talk medicine with. I can’t forget DiAnn Mills and Susan Sleeman who bring romantic suspense to the table. And, since I want the conversation to be spirited, I’d round out the party with James Scott Bell and Randy Ingermanson. How’s that for a mix? (And I could add more, but we’ll stop at six). I would love to be at a party with all six of those authors. Now let’s do that for a party for Christian authors of historical fiction, what six people would you invite and why? Confession time—I don’t read much Christian historical fiction, so I haven’t read books by all these authors, but I know they’re good writers. Let’s start with Francine Rivers, the admitted queen of Christian historical fiction. Then I’d add Kristy Cambron, Kim Sawyer, and Robin Hatcher. And to round out the six, how about Mary Connealy and Lauraine Snelling? That should give us some lively conversation. (If I’ve left you out, please forgive me—there are too many who are at the top of their game when it comes to writing in this genre). That would be a fun party, too. I love books by all of those authors. Many times, people (and other authors) think you have it made with so many books published. What is your most difficult problem with writing at this time in your career? It’s not running out of ideas (which many people think would be a problem). It’s being content with my situation. I’ve moved from being contracted by a traditional publisher to indie-publishing. I won’t go into the causes of that move, but let me say that—as I try to juggle all the parts about writing, editing, cover, marketing, etc. — I look across the fence and think that the grass might be greener on the other side. But I’ve been on both sides of that fence, and they each have their good and bad points. As one very wise individual puts it, the reason we often struggle with insecurity is that we compare our behind-the-scenes with everyone else’s highlight reel. So true. Tell us about the featured book. I suppose the best thing I can do is give you the back cover copy for Emergency Case. The relationship between Dr. Kelly Irving and her husband, attorney Jack Harbaugh, has cooled recently, but she figures they’ll muddle through and repair it. Then when she backs down her driveway, her car hits a bump that turns out to be the partially snow-covered body of a man her husband recently represented. Not only that, the gun that killed him belongs to Jack, who seems to be the primary suspect. As events escalate, Kelly can’t decide if her husband is a murderer or the next victim. Eventually, they must put their marital differences aside to find the person masterminding the syndicate behind all this, while trying to keep Jack alive. Jack Harbaugh sat at his mahogany desk scribbling notes on a yellow pad, several law books open beside him. This was a particularly ticklish tax case, and he’d promised his CPA friend to have an interpretation soon. He was at a critical point when his secretary’s voice over the intercom interrupted him. Mr. Alba? Then Jack remembered. This was the case he didn’t want to take. But he’d allowed himself to be pressured. Jack redid the top button of his dress shirt and cinched his tie. “Send him in,” Jack said. The man who entered his office was, at first glance, the type of individual that Jack and his partners cultivated as clients. His dark hair appeared freshly cut and styled, his clean-shaven jaw bore not a trace of five o’clock shadow, his suit draped perfectly to conceal a stocky frame, and his white shirt fairly gleamed. But then Jack reached Alba’s eyes, and that gave him all the judgment he needed. He had seen eyes like that only once before—in a criminal who was amoral to the point of having no concern for others, including their life. The story was pretty much what Jack had already heard. Alba was pulled over because he fit the description of a man the police were looking for. There was no other reason for the stop, although that point was arguable. What was clear to Jack, however, was there was no legal justification for the search of Alba’s car, a search that turned up a small amount of marijuana in the glove compartment. When Jack had enough details, he nodded. “We should be able to get you off. Maybe a fine, but I doubt even that.” His mind went back to what he’d been told previously. Supposedly, this was a “slam-dunk.” He wondered if that was because the fix was already in with the judge. Whether it was or not, he’d do his best. That was what he was being paid handsomely for. “You really need to get this case dismissed,” Alba said. I post on my blog twice a week. I also have a web page and can be found on Facebook and Twitter as well as on Goodreads. Thanks for having me, Lena. And I hope your readers enjoy Emergency Case. Thank you, Richard, for sharing this book with my blog readers and me. Teri (OH) is the winner of The Great Lakes Lighthouse Brides Collection by Carrie Fancett Pagels. Connie (KY) is the winner of Christmas Charity by Susan G Mathis. 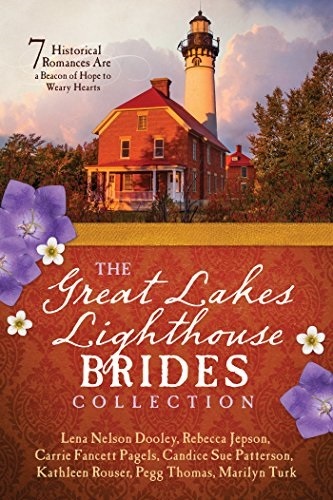 Elly (IN) is the winner of The Great Lakes Lighthouse Brides Collection by Kathleen Rouser. This is the last of the novellas in this collection. I really loved writing it. I first started writing Christian Romance, so my daughters would have books to read. I loved reading romance stories, but they were having more and more things in the that I didn’t like reading and didn’t want junior high aged daughters to read them. I hoped I haven’t lived it yet. But there have been many super happy days. Like when my husband and I were married, when each daughter was born, and when each of my grandchildren and great-grandchildren was born. There have been many super happy days in my writing life. When I signed my first contract. When I first won major award. When I first hit a major bestseller list. It helped me discover my God-given destiny. I could never read a book the same after that. I’ve gone places I’d never have gone before. I’ve met hundreds of wonderful authors, editors, and publishers. It totally broadened my horizons. North by Starlight by Diane and David Munson. I’m researching a book set in the panhandle of Texas in 1913. I don’t have a title yet. And after that, I’ll be researching a book about a Widow Gold Digger. James and I would really love to go to Hawaii. And I’ve dreamed for years about going to Australia. Often the story idea comes with the setting attached. Sometimes, a publisher requests a particular setting. Mine is two people—George and Laura Bush. I believe God chose them specifically to be our first family when 9-11 happened. I’d love to visit the ranch near Crawford, Texas, while discuss his work with wounded warriors. Over the years, I’ve had a lot of hobbies, but not so much now. I spend time with family and with friends a lot. Write. Connect with other authors. Write. Read a lot. Write. The Disappearing Ship a novella in The Great Lakes Lighthouse Brides collection is a mystery that draws two people together in an unusual way. The word drummed through Norma Kimbell’s head as she gazed out at the pine forest rushing by the window in a blur. Riding the train always felt as if life were passing her by without noticing her. Despondency clung to her weighing her down like the heavy woolen robe, packed in her trunk in the baggage car, did in the long winter months. Sometimes they went for days without seeing even a peek of the sun. That’s what she needed right now, to know the sun was shining on her. But how could she believe it? She had failed at the only thing she ever wanted to do with her life. Papa had encouraged her to follow her heart. After Papa died, she’d spent several years living at the Whitefish Point lighthouse with her uncle and aunt. Because of her inheritance, she’d been able to pursue her dreams. Dreams of being a doctor. She knew it would be hard, but some medical schools accepted a woman or two, and she’d enrolled. When she graduated at the top of her class, Uncle Charles contacted a friend, who was a doctor in a needy area of Chicago. He’d agreed she could be a part of his practice. After all, he’d needed all the help he could get. But now she was returning to Whitefish Point a complete failure. Tears filled her eyes, blurring the landscape even more, like one of those impressionist paintings she’d seen in the museum she often visited on her one day off per week. Before she could control them, they leaked down her cheeks. She grabbed a hanky from her lady’s carpetbag and dabbed at her eyes, trying to stem the flow. “Are you all right, Miss?” The conductor’s gentle bass voice interrupted her thoughts. After lingering a moment, the man headed farther down the railroad car, checking on other passengers. Norma was so glad the train wasn’t crowded. She wanted to sit as far away from other people as possible. She wouldn’t have been able to carry on a conversation without sobbing. Being by herself was better. As the train began to slow when they reached the outskirts of Sault Ste. Marie, Michigan, Norma grabbed another hanky and mopped up the rest of the mess from her face. She took a deep breath. Soon they would pull into the railway station. She faced many more miles before she’d reach the Whitefish Point lighthouse and feel her aunt’s arms around her. She needed that hug so much. But she dreaded seeing Uncle Charles and the disappointment in his eyes. She’d done her best. Her failure wasn’t her fault. But none of the patients wanted a woman doctor treating them. She could understand men feeling that way. But the women? Why didn’t they want her? Much medical treatment dealt with intimate exploration of the patient’s body. She would much rather have a woman examine her, but not a single one of the women who came to the clinic wanted to be seen by her. She was just a glorified nurse for the physician. It wasn’t his fault or hers. Women doctors all over the country were facing the same situation. She’d heard of a few physicians out in the far west, where male doctors were scarce, who experienced success. If someone needed a medical help, and the only one close enough to reach was a woman, they used her. Maybe she should have gone west, instead of staying in Chicago. Readers, I hope you’ll enjoy reading my story, and the others in the collection, as much as I enjoyed writing it. Cjajsmommy (PA) is the winner of North by Starlight by Diane and David Munson. 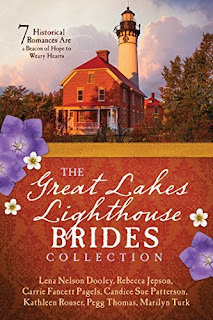 Robin (NC) is the winner of The Great Lakes Lighthouse Brides Collection by Candice Sue Patterson. Karen (NY) is the winner of The Great Lakes Lighthouse Brides Collection by Rebecca Jepson. Dear Readers, here's another book in the collection. Only two more to go. Kathleen Rouser is the multi-published author of the 2017 Bookvana Award winner, Rumors and Promises, her first novel about the people of fictional Stone Creek, Michigan, and its sequel, Secrets and Wishes. She is a longtime member in good standing of American Christian Fiction Writers. Kathleen has loved making up stories since she was a little girl and wanted to be a writer before she could even read. She longs to create characters who resonate with readers and realize the need for a transforming Savior in their everyday lives. A former homeschool instructor, mild-mannered dental assistant, and current Community Bible Study kids’ teacher, she lives in Michigan with her hero and husband of thirty-some years, and the sassy tail-less cat who found a home in their empty nest. It was a long journey to get to where I am. I started out wanting to write children’s stories. As a young believer I enjoyed reading Gilbert Morris’s series on the Winslow family. They were some of my first exposures to Christian fiction. Then there were Janette Oke’s books. I loved the romance and that it was clean and inspiring. I could go on and on about different authors who have inspired me, including Jane Austen. My desire is to write clean, uplifting fiction carrying a message of God’s grace and new beginnings in Christ. Since I enjoy reading stories in historical settings, I decided I’d like to write in them as well. It’s kind of a tie between the day I married my husband, Jack, and the birth of each of my children, but especially my first, since it was such a wonder when I first became a mother. Marriage and motherhood are each so special in their own way. It’s definitely become more of a balancing act. Some days I juggle well and other days I’m afraid I drop the ball! Marketing and the ever-present platform are often in the back of my mind—two things I didn’t used to have to worry about as much as I do now. However, on the up side, it has given me a sense of accomplishment and been an exciting time for me as it is something I had dreamed of since I was a child. I’ve also been awed by God’s hand through it all. Right now I’m reading Katelyn’s Choice, by Susan G. Mathis, which hasn’t yet been released and The Miracle Morning for Writers by Steve Scott and Hal Elrod. completely new. 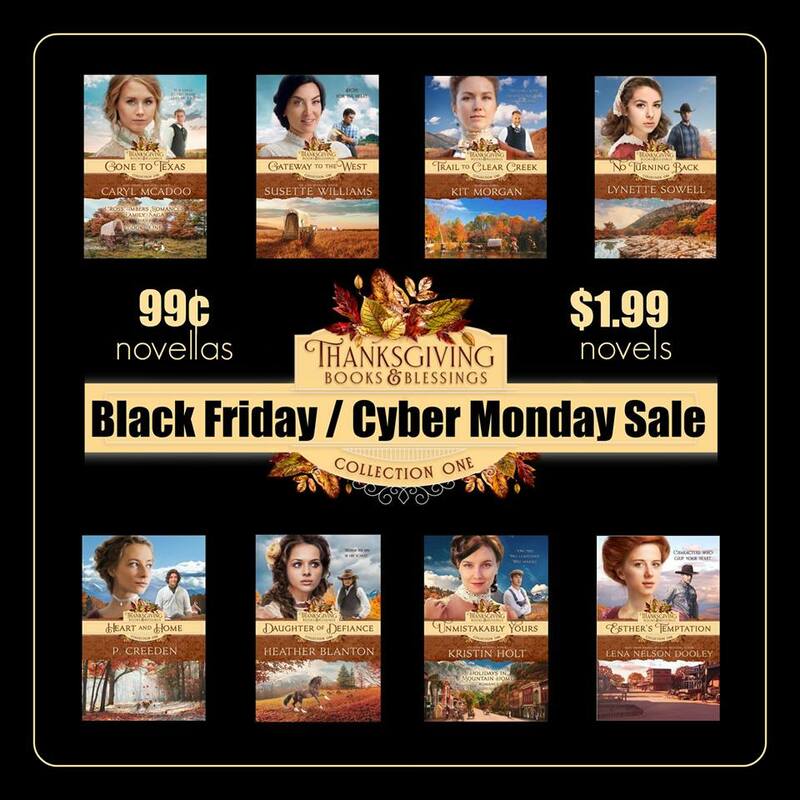 Rose Sinclair is a heartbroken nurse, a veteran of the Spanish-American War, who is working at Hope’s Place for unwed mothers in Stone Creek. The hero is Wade McCormick, a Deputy U.S. Marshall on the run, framed for murder and looking for help. The working title is Scandals and Mercies. I would love to travel around Italy. There is so much to see! And eventually end up in Sicily where my grandparents came from. Then I’d like to return to England and see the historic sites of London and Oxford, as well as farther north and some of the coastline. As long as I’m over that way, I’d like to see Ireland too. So far, I’ve only had stories published that have taken place in Michigan. I seem to be stuck! LOL As a lifelong resident of this beautiful state, it was easy to start with a fictional town loosely based on the area where I live. When Pegg Thomas asked if I would be interested in writing a novella for The Great Lakes Lighthouse Brides Collection it was easy for me to want to write about the Old Mackinac Point Lighthouse. I’d visited there many times and always thought it would be fun to include it in a story. However, I’ve also used settings of ancient Egypt as I wrote about Moses’ two mothers. And I also started a YA series set in Victorian England, a time and a place that’s always interested me, but these stories aren’t yet published. Jan Karon. When I was going through a very difficult time in my life, I started reading her Mitford series each evening for about an hour before bed. I was attending a church that didn’t encourage the reading or writing of fiction. Reading her stories about Father Tim, where real life issues were addressed but with an eye toward faith and hope in God, was not only healing, but encouraged me to once again pursue fiction writing. I wrote her a thank you letter for the inspiration her writing gave me, but it would be lovely to meet her, thank her personally, and get to have an evening of conversation with her. Baking, making jewelry, knitting, and walking or bike riding. I especially enjoy spending time with my husband. I’d say scheduling enough time for writing. When I do that successfully, though, it’s because I’ve told myself I will write at a certain time (an appointment with myself) and then I make a goal for word count. It’s fun sometimes to set out to write 1,000 words in an hour. Other times I don’t want that kind of pressure and I will write 500. I guess the operative words here are appointment and goal. Though it probably sounds trite, keep writing. Learn the craft of writing and grow a thick skin. Being part of a critique group helps. Take a lone survivor of a shipwreck on the Straits of Mackinac, the widowed lighthouse keeper who rescues her, and his feisty six-year-old daughter and you have a recipe for hope, humor, and romance prodded by an innocent little cupid. She struggled to maintain her grip on the splintered wood plank, the only thing keeping her from drowning beneath the roiling waters of Lake Huron. A blur of gray and green swallowed her for a moment. She bobbed, carried along by the water’s current. She couldn’t get her bearings as she swirled away from the sinking ship. Lightning sparked enough for her to see the last of the Mallory sink beneath the stormy waves. She wanted to cry out, but her mouth filled with the foamy water. She choked and sputtered instead. This wasn’t supposed to be happening. Not now. She was too young to die. Her shoe grazed something. Was it sand? She grunted as the waves thrust her against the stony shoreline. With one more nudge from the water she lost her grip on the board. Unable to stand, she slipped. Sharp pain surged through the side of her head. The world melted from gray to black. Cal Waterson held his lantern high from his place in the rowboat. The rain pelted him, flowing off his oilskins in rivulets. His faithful volunteer rescue crew of a half-dozen men from Mackinaw City shivered in the cold. His heart lurched at the sights around him. Nothing left of the ship but some floating boards, a man’s hat, an empty barrel. No survivors. What good was it being a lighthouse keeper if he couldn’t do more for those guided by the glowing Fresnel lens? Henry MacPherson pointed as they rowed along the shore toward the beacon. Something out of the ordinary indeed reflected in the light. A long shot, but a lone survivor may have washed up onto the beach. Cal glanced back toward the wreckage one more time. He cupped his hands around his mouth and leaned low to be heard over the thunder and wind. “We’re done here. Head for whatever that is on the shore.” Having registered his command above the din of the thunder and wind, his faithful crew rowed harder to shore. Thank you, Kathleen, for sharing this new book with my readers. I loved your novella when I read through the whole collection.